Tie-rod construction, double-acting, heavy-duty, high-strength tie rods. 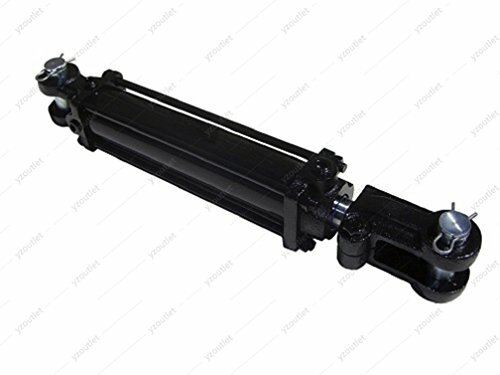 With ground and polished chromed piston rod, cast iron piston with O-ring seals and back up washers, polyurethane rod wiper, cast malleable rod clevis, zinc plated pins and clips. The maximum working PSI is 2500 and bursting PSI is 5000. Seal kits are available also. If you have any questions about this product by Mighty, contact us by completing and submitting the form below. If you are looking for a specif part number, please include it with your message.